Marpole in the 1920s was a neighbourhood of sawmills and canneries. It was also home to the families of managers and office workers, who each day travelled the streetcar line up Oak Street, stopping at sidings at 52nd and 67th Avenues. After the Oak Street Bridge was completed in June 1957, linking Vancouver with Richmond, business flourished no longer. The more than 50 stores at Hudson and Marine Drive were suddenly empty and quiet as, a short distance away, former customers sped easily over to Richmond on the modern new structure. The creation of a major traffic artery up Oak Street divided Marpole neatly in half, causing social as well as business ramifications. 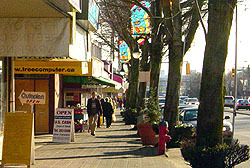 Marpole became an area with lots of transition. The area south of 70th Avenue was rezoned for increased density. The older houses were gradually replaced by apartments occupied by families with few or no children. A second baby boom in the 1980s has expanded the school's population. Housing starts have increased in Marpole since EXPO 1986, with larger housing lots subdivided, doubling the number of families in the area coupled with increases through immigration in the 1990s. MARPOLE MUSEUM & HISTORICAL SOCIETY, a non-profit group, is looking to increase its membership. We need your help! MM&HS is a group of volunteers who are brought together by a common interest in the heritage of their community and a desire to foster and preserve memories and memorabilia of local interest. We are looking for new members to join us at the MM&HS and If you have a passion for history, we welcome you to join our friendly organization to work in the garden, to assist with fundraising events or work at Colbourne House, 8743 S.W. Marine Drive. The group meets at the House most Wednesdays from 10am - 1pm to work on the flower gardens, plan special events and enjoy some camaraderie with coffee and goodies. We look forward to hearing from you by contacting us at info@marpolehistorical.ca or 604-264-0131. To become a member, download our Membership Form, fill it out and send it in! 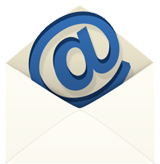 JOIN OUR EMAIL CONTACT LIST and receive Event Notices. To download the form, click here.